TrustCenter services are (third) parties trusted by an entity to faithfully perform certain services for that entity. To provide trust in the whole system. To limit the participation of an entity in the system. To allow an investigation of multi-spent eCoins to be carried out. 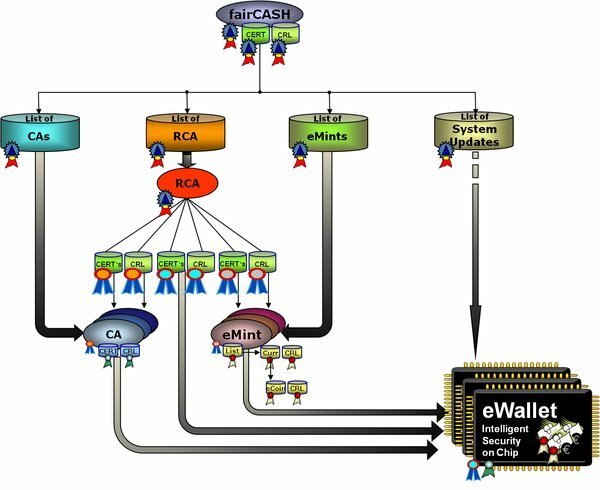 To configure the complete fairCASH system to meet the needs of its operator(s) and users. X.509v3 Class 4 Backoffice Certificate and PKI Architecture.